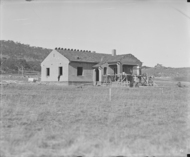 W G Woodger's cottage Mugga Way, Red Hill. 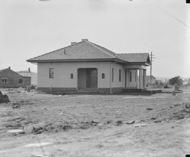 FCC (Federal Capital Commission) cottage - Type 11. 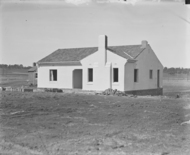 FCC (Federal Capital Commission) type cottage. FCC (Federal Capital Commission) type 7 house. 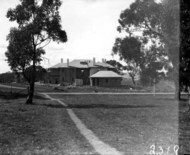 Prime Minister's Lodge from the north, Adelaide Avenue, Deakin. 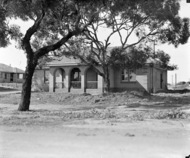 Concrete houses under construction in Griffith. 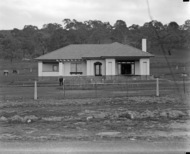 House owned and built by John Deans, Mugga Way. 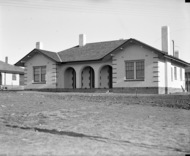 Cottage at 31 Alt Crescent, Ainslie, Federal Capital Commission Type 5. 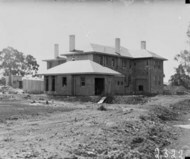 Front of Prime Minister's Lodge, Adelaide Avenue, Deakin, from the north.